Randall Residence of Decatur adheres to the highest standards ensuring that your loved ones are extremely well cared for. Our assisted living community has been thoughtfully designed to provide residents with a nurturing, comfortable, home-like environment where they can feel confident and in control. We can offer assistance with basic daily activities such as bathing, grooming, dressing, and more while still encouraging independence. 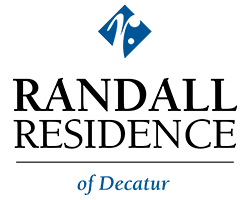 Randall Residence of Decatur offers the highest level of professionalism and care to meet the needs of each resident.